Copyright © 2015 European Pellet Council. 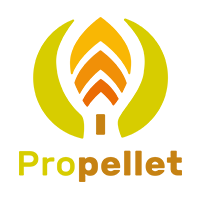 Created in 2008, Propellet France aims to network and create links between wood pellet industry actors, promote heating wood pellets, structure a quality chain, assume the role of economic observatory of the sector. Its activities consist in accompanying certifications and regulations, production of practical sheets, sending newsletters for professionals, training sessions and conferences, representation of the pellet industry at European level, collection and distribution of data, on price, market, production.